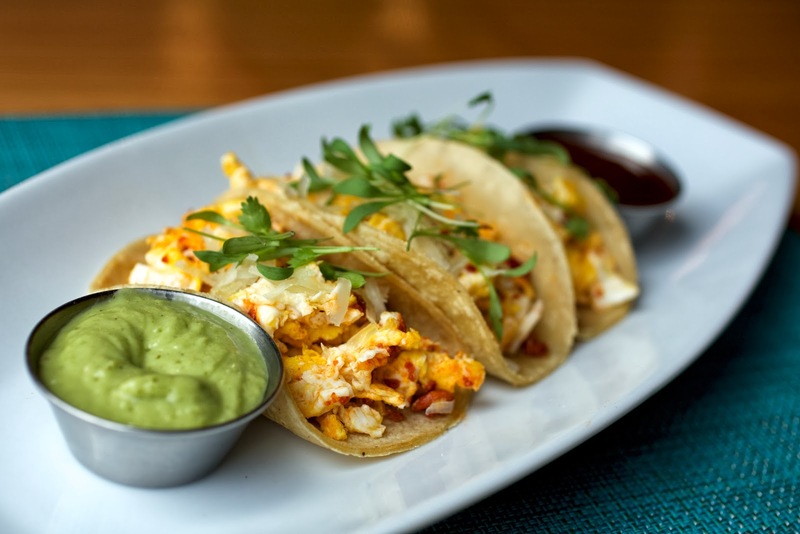 Table 926 of North Pacific Beach will launch their exciting new Sunday Champagne Brunch menu on March 2, opening its doors early to offer the bright eyed and bushy tailed a boozy breakfast with class. Tucked away on Turquoise Street, the upscale yet casual restaurant is a refreshing and sophisticated alternative to the beach bar scene often associated with PB, and with Chef Matt Richman’s delicious new creations, a welcomed one. We began our meal in true brunch fashion by sampling an assortment of delectable Champagne cocktails, which come in flights to allow exploration. My date and I sipped and swirled our way through a variety of Table 926’s seasonal Bellini and mimosa offerings, transitioning from the traditional orange juice mimosa and white peach Bellini to some of their more adventurous Champagne pairings, including mango, prickly pear, and a personal favorite – lychee. 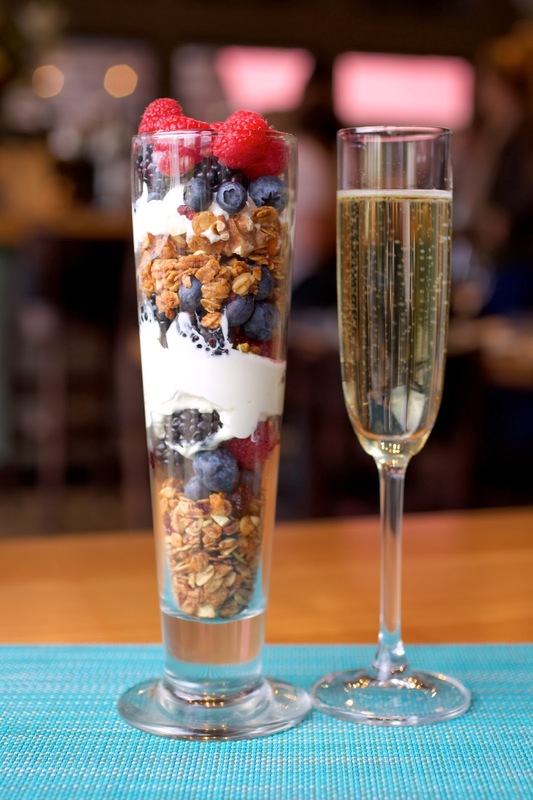 We each soon received a berry and granola parfait ($6.5), layered elegantly and displayed artfully in a crystal clear glass. The chewy granola and luscious berries mixed wonderfully with the tart yogurt, and we quickly found ourselves with glasses empty, wanting more. 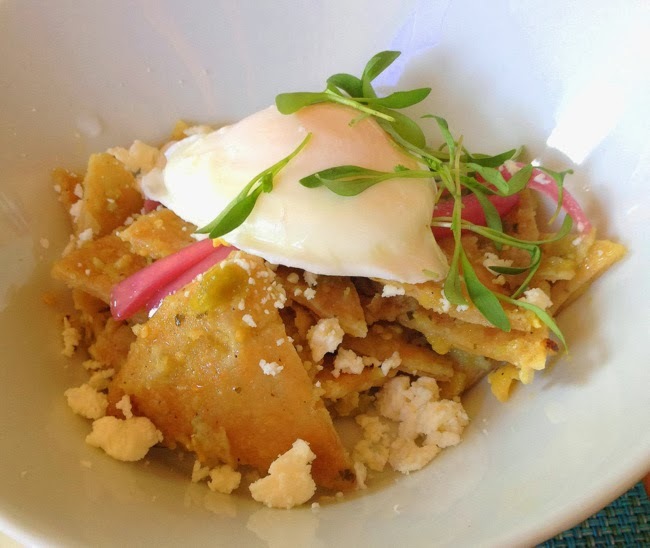 We next received a sample size of four of Chef Matt's alluring brunch entrees. The first one I tackled was the breakfast sausage, ham and egg panini ($13.5). Loaded with mozzarella, pecans and green onions on a ciabatta roll, this panini elevated the notoriously simple 'breakfast sandwich' to another level. Next we enjoyed Table 926’s simple and delicious breakfast tacos ($11) composed of a corn tortilla, light and fluffy scrambled eggs, breakfast potatoes, Monterey Jack cheese, and served with a side of house salsa. For only $2 more you can add some spicy soy chorizo to your tacos, which, in my experience, is definitely the way to go. 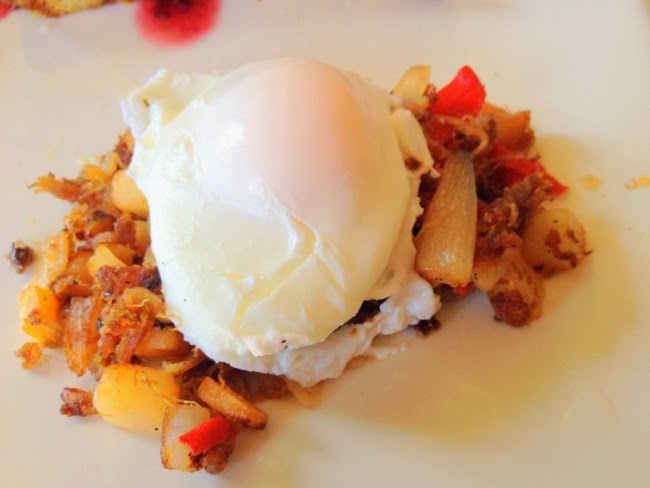 The duck confit hash ($14.5) is a Benedict in disguise, a layering of breakfast potatoes, roasted root vegetables, piquillo peppers, and of course, a generous portion of crispy duck confit. This delicate take on one of my favorite brunch items was complimented expertly by the creamy poached egg that rested on top. Saving eating sweet for last when tackling the sample platter, the bread pudding french toast ($13) was a creamy and delicious creation that grew richer with each bite. 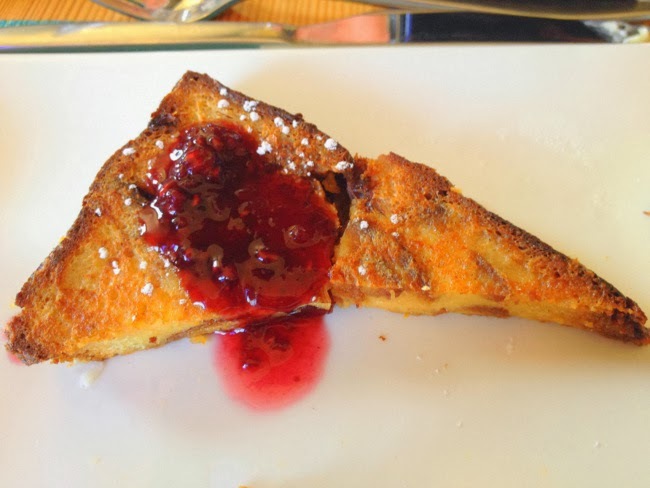 I savored every powdered sugar-covered mouthful that I dipped and drizzled with a generous amount of Table 926's house-made berry compote (and a little maple syrup). The final dish of the morning was possibly the most intriguing and impressive. Over the last couple of years, Chilaquiles ($11) have become sort of a Christmas morning breakfast tradition for my family. In the off-season I go out of my way to try variations on this traditional Mexican dish. After sampling Chef Matt's interpretation I believe that I may have found a new favorite. The crispy tortilla base remained crunchy, a delicious and impressive feat considering its mixing with salsa verde and creamy queso fresco. Although I would have loved a little more of a kick, the perfectly poached egg resting on top added a complexity of flavor and texture that left me completely satiated. 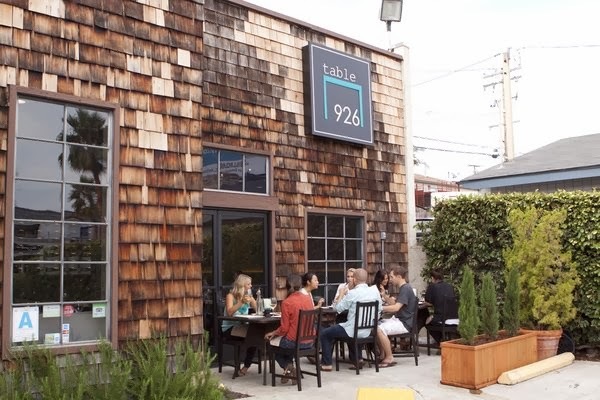 If you're in the mood for one of the best seasonally-inspired brunches around, look no further than Table 926. My next visit can’t come soon enough, and with Easter and Mother's Day right around the corner, this brunch launched at the perfect time! 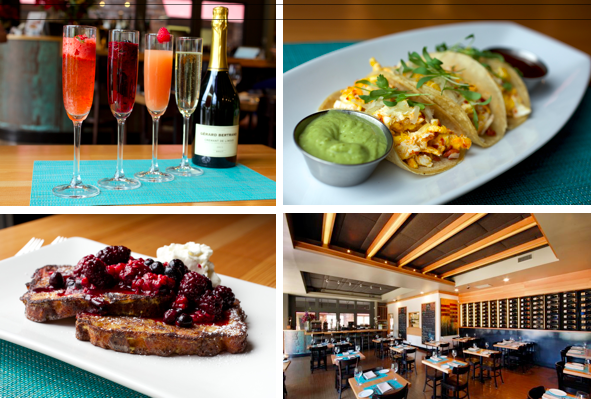 As a promotion for a limited time, every guest who uses the #Table926SD via Facebook, Twitter or Instagram will receive a free glass of champagne during brunch. Be sure to mark your calendars for Table 926's Craft Brew Brunch on Sunday, April 27, when Chef Matt will pair locally brewed beer with Sunday Brunch fare.